Shop online for 122 imex model trains at discounts up to 41%. This is the N Scale IMEX Perma-Scene Supermarket. Ideal for Dioramas and N Railroad. 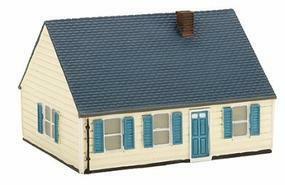 This is the N Scale IMEX Perma-Scene New England Ranch House. Ideal for Dioramas and N Railroad. This is the N Scale IMEX Perma-Scene Built-Up 1954 Whitley Trailer. Ideal for Dioramas and N Scale Railroads. This is the N Scale IMEX Perma-Scene Diner. Ideal for Dioramas and N Railroad. This is the N Scale IMEX Perma-Scene Built-Up 1958 Great Lakes Trailer. Ideal for Dioramas and N Scale Railroads. This is the N Scale IMEX Perma-Scene Built-Up 1958 Skyline Trailer. Ideal for Dioramas and N Scale Railroads. This is the N Scale IMEX Perma-Scene Levittown Cape Cod House. Ideal for Dioramas and N Railroad. 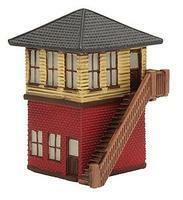 This is the N Scale IMEX Perma-Scene Switch Tower. Ideal for Dioramas and N Railroad. This is the Assembled IMEX Perma-Scene 1958 Skyline Trailer. Ideal for Dioramas and HO Railroads. This is the assembled IMEX Perma-Scene New England Ranch House. Ideal for Dioramas and HO Railroad. This is the Assembled IMEX Perma-Scene Levittown Jubilee House. Ideal for Dioramas and HO Rialroad. This is the N Scale IMEX Perma-Scene Ranch House. Ideal for Dioramas and N Railroad. This is the assembled IMEX Perma-Scene Stengels Barn. Ideal for Dioramas and HO Railroad. This is the Assembled IMEX Perma-Scene 1954 Whitley Trailer. Ideal for Dioramas and HO Railroads. This is the N Scale IMEX Perma-Scene Built-Up F.W. Woolworth Co Building. Ideal for Dioramas and N Scale Railroads. This is the Assembled IMEX Perma-Scene 1958 Great Lakes Trailer. Ideal for Dioramas and HO Railroads. This is the N Scale IMEX Perma-Scene 1st Church. Ideal for Dioramas and N Railroad. This is the N Scale IMEX Perma-Scene Levittown Jubilee House. Ideal for Dioramas and N Railroad. This is the HO Scale IMEX Perma-Scene Build-Up Farm House. Ideal for Dioramas and HO Railroads.